Easily the favorite of many a Star Trek fan, Scotty was one of the few crew members from the original series who also got a pretty swell tribute episode on Star Trek: The Next Generation. Spock got a two-parter, McCoy got a cameo at the end of the pilot, but Scotty got an entire hour, a rebuilt set of the original Enterprise, and some green thing to drink. Clearly, people love Scotty. As with the other figures in the boxed set, Scotty measures about 5-inches tall and has 12 points of articulation. The standard in the 1980s and most of the 1990s was 5 joints, so this figure (and his entire line) was pretty amazing stuff for his day. The slightly larger head really strived to be more authentic than other figures of the time, and I dare you to find anything sharper than this from 1993. One drawback of this particular design of figure (which was fixed in Playmates' next sci-fi line, SeaQuest DSV) is his ability to sit. Clearly, they didn't really give much thought to these figures piloting vehicles or working at a station on the bridge, since the v-crotch spreads out and prevents a normal pose at a chair. Sometimes Playmates found a good way around it, like seat belts or specially designed seating stations, but it usually doesn't quite work. There weren't many Scotty figures made by Playmates in this scale, particularly not from the classic TV show. 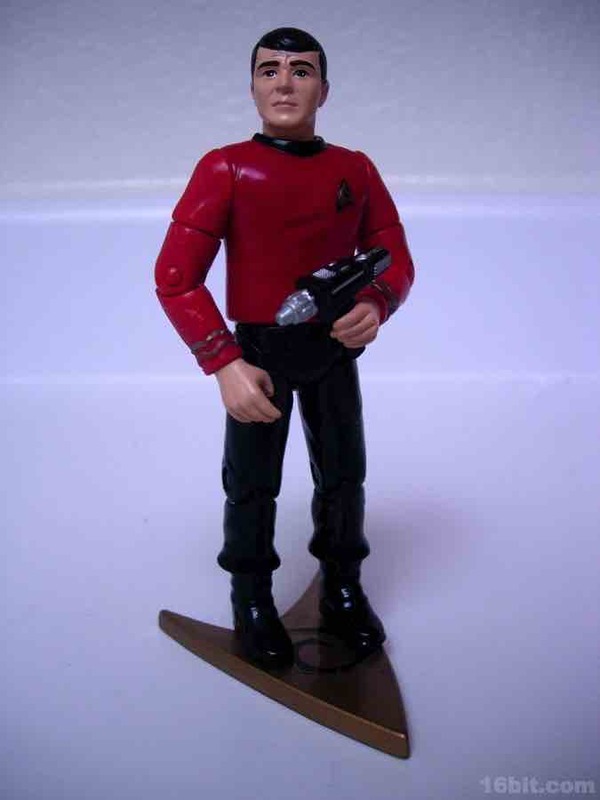 As such, this figure (and set) should be on your must-buy list as this really was the best Star Trek toy line made by anyone, ever. (Diamond's line is nice, but far from comprehensive.) Scott has no problems standing, particularly when you add the stand, so be sure to snag one while the prices remain low. It's easy to forget today, but Playmates' Trek line was top dog for a lot of action figure collectors in the early 1990s until some were pulled away by Spawn and McFarlane toys, Kenner's Star Wars relaunch, and Playmates' own poor desire to make the line more collectible with ultra-limited edition figures which nobody could get. 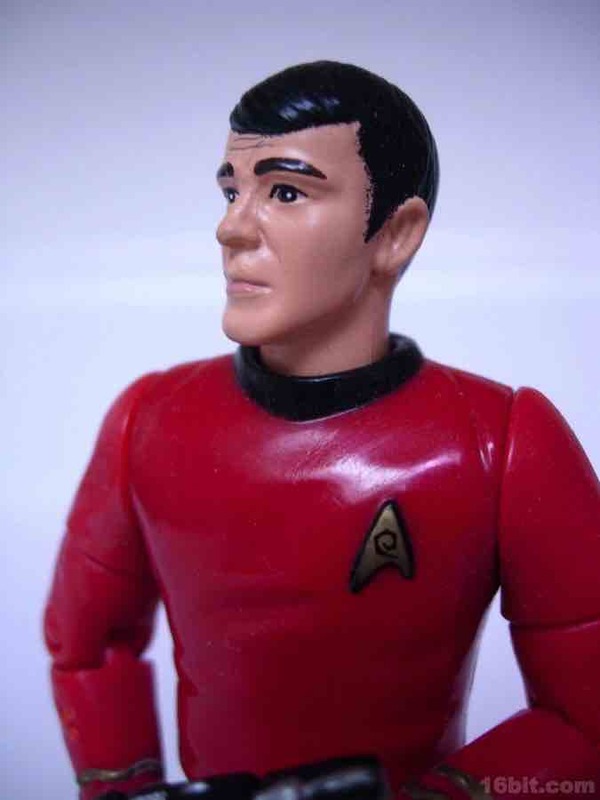 The figure line, particularly in its first four years, was packed with great high-quality figures which the rest of the toy market didn't quite match after Trek fell out of vogue.